When will be Другой майор Соколов next episode air date? Is Другой майор Соколов renewed or cancelled? Where to countdown Другой майор Соколов air dates? Is Другой майор Соколов worth watching? 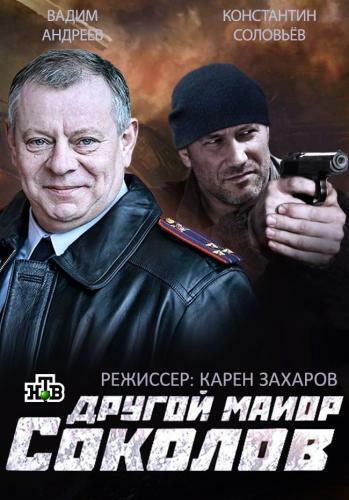 In the center of the new series Другой майор Соколов (The Other Major Sokolov) the work of a special service - the Office of its own security, which is investigating the crimes committed by law enforcement officials. Top management staff - Vlad Sokolov, Andrey Gordeev, Marina wind and Oleg Yershov are in a group under the leadership of Colonel Ladygina. It would seem that their service is not different from the regular police service: rapid development, wiretapping, surveillance, interviewing witnesses, arresting criminals. Другой майор Соколов next episode air date provides TVMaze for you. EpisoDate.com is your TV show guide to Countdown Другой майор Соколов Episode Air Dates and to stay in touch with Другой майор Соколов next episode Air Date and your others favorite TV Shows. Add the shows you like to a "Watchlist" and let the site take it from there.